Episode 11 is by far my favorite episode out of episodes 8-11. It is part of a 2-episode story arc that will be completed in the finale. Maybe part of why I enjoyed it so much is that Maki Yoko plays the newest customer, Asako! I love Asako’s story arc because she actually makes more of a personal connection with Tada. She asks him to drive her to and from work everyday, and the two of them end up bonding and becoming friends. It is pretty much the first time we have seen Tada open up about his past (he is divorced) and take an interest in a woman. I rather doubt that Tada will get into a relationship with Asako but would be an interesting plot twist. Unfortunately poor Gyoten is the third wheel here and he doesn’t even get to come along with Tada on the job! But I know that the BROMANCE SHALL SURVIVE. I love Gyoten & Tada together, they are perfect BESTIES. Even though Tada always calls Gyoten an irresponsible freeloader, I think he would be rather lonely without Gyoten. On the other hand, if Tada did get together with Asako, then what would Gyoten do? But at the moment, the bromance is being threatened by the possible closing of Benri-ya!! Tada finds out that he must move out of his office building because the owner will no longer rent it to him. He tries to tell Gyoten but ends up not being able to. Gyoten, of course, finds out about it from someone else but can’t bring up the subject with Tada. Me: NOOOOOOOOOOOOO!!!!!!!!!!!!!! DON’T SPLIT UP!!!!!!!!!!!!!!!!!! Gyoten continues to be a really hilarious character. He can always turn a seemingly boring situation into a funny one. He still has this running joke of telling all his customers that he and Tada are a couple. The funny part is that he looks completely serious whenever he ‘jokes’ about it and the customers end up believing it. In ep10 Gyoten keeps on pointing out to his customer how he and Tada are such a couple, and Tada always tries to clarify that it’s not what she thinks it is. AHAHA. So, I’ve been pondering the question of whether Tada & Gyoten’s pasts should’ve been more deeply explored in the drama. For people like me who have not seen the movie, which is the prequel, it is hard to piece together their past. On the other hand, not knowing about Tada & Gyoten’s past also adds to the simplicity of Mahoro because it helps me to focus more on the story arcs and see the characters for who they are now, not for who they were in the past. I am very interested in knowing more about Gyoten & Tada though so I think I must find me the movie! Also I didn’t really talk about the other episodes 8-10 in this post, so here is the quick run-down: I thought episode 8 was more lighthearted and humorous but I didn’t really enjoy it that much. There was a really annoying customer in that episode so I don’t think I appreciated the humor as much. Episodes 9-10 covered one story arc. It was better than episode 8 but not as interesting as some of the previous stories. A Korean Version of Shinohara Ryoko’s Haken no Hinkaku?!? Argh! Thank you. I’m not finding the time to watch this series currently even though subs have been fast. I adore it. I thought he had a potential love interest in the bar hostess from back in episode 3, but obviously that never transpired. LOL the same thing happens to me, at first I watch for Eita’s character but then I end up leaning more towards the other male lead! 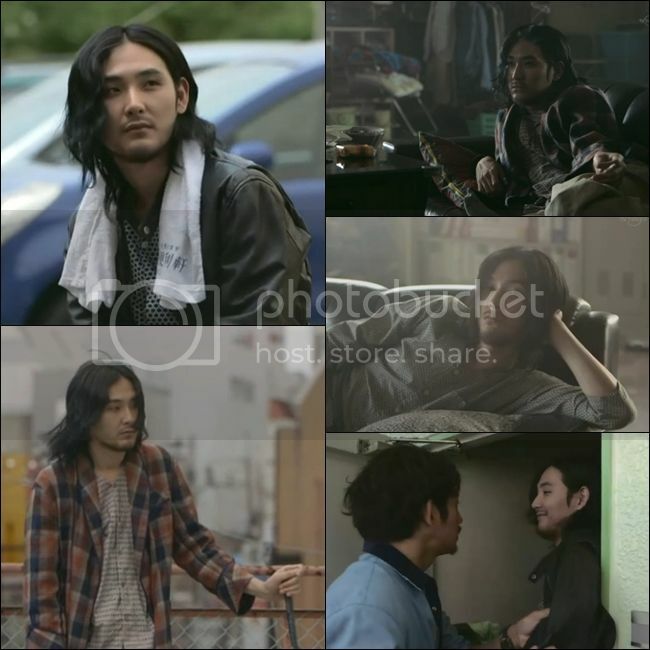 >_< Eita is still doing a great job but I just like Gyoten's character more. Great recap! I’ve been meaning to comment on this series a few days ago but restrained myself coz I also want to watch it myself first before making any conclusions. 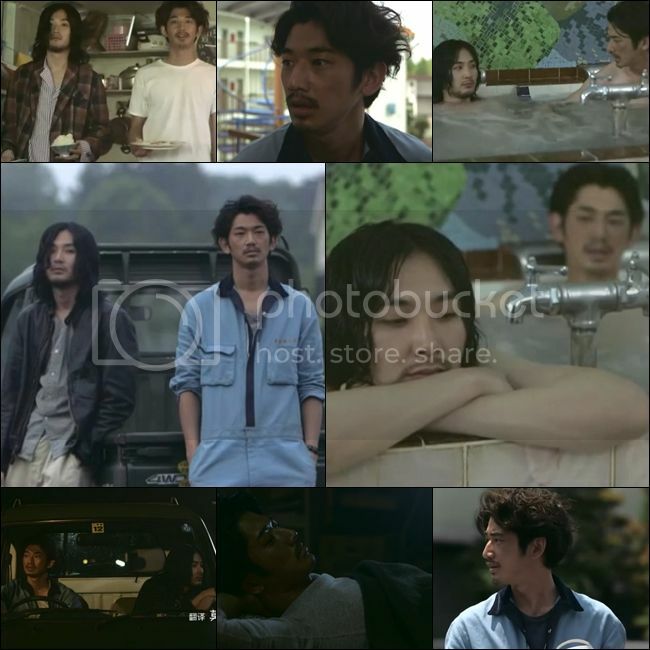 Eita and Ryuhei are two of my favorite actors and I am really trying to digest each episode very well, keeping myself happy – even to the extent of watching a few minutes and then turn it off and then watch it again. I was not able to watch the movie too, so there are a lot of questions on my mind but that makes the series even more enjoyable. Yes they are very short and very fun to watch! I am really going to buy that movie DVD since the drama episodes are all awesome!